It’s the movie release dead zone of September which means we are looking for films you may have missed earlier in the year or that you can find on iTunes, Amazon, Netflix, or other streaming services (or your public library). 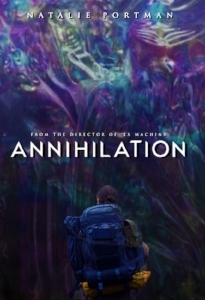 Natalie Portman (Mr. Magorium’s Wonder Emporium) stars in Annihilation, the new film from Alex Garland (28 Days Later). It’s trippy, wild, visually impressive, and was adored by critics upon its release earlier this year. Audiences? Not so much. We had to check it out to see why there was such a division between the popular and critical reception. Check it out.